The Employee & Labor Relations office serves as the university’s liaison to union representatives for all eligible bargaining employees. We are responsible for negotiating, implementing and administering the NMSU-AFSCME Collective Bargaining Agreement. Questions pertaining to the interpretation and application of the collective bargaining agreement should be directed to our office at elr@nmsu.edu or (575) 646-2449. Open forum broadcast for Union Eligible employees on 10/17/2013. Purpose was to provide an overview of the articles of the agreement, the objectives of the parties, and the documents or procedures associated with the Agreement. Grievance Form: To file a grievance, contact a union representative or see Appendix D – AFSCME Grievance Form in the Agreement. Grievance Response Form: This form is made available by Labor Relations; use this form to respond to a grievance. 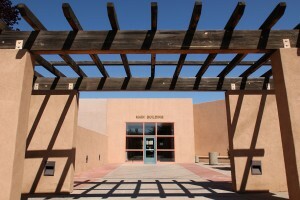 The Regents of New Mexico State University approved to create a local Labor Management Relations Board in August 2005. The Board is composed of three members appointed by the President of the Regents. The Board is governed by the Labor Management Relations Resolution and the rules and regulations are established pursuant to and in accordance with the NMSU Labor Management Relations Resolution.